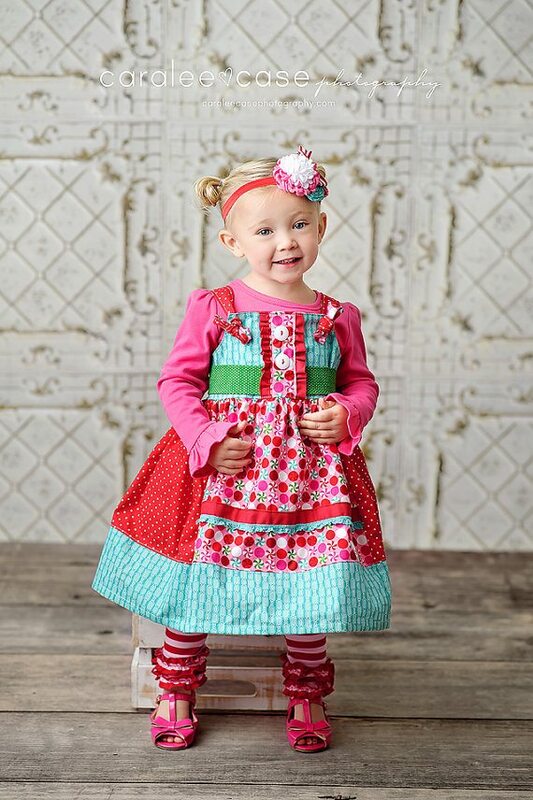 Anything from Today’s Monkey Melon $50 Holiday Giveaway Certificate would look adorable on my granddaughter. 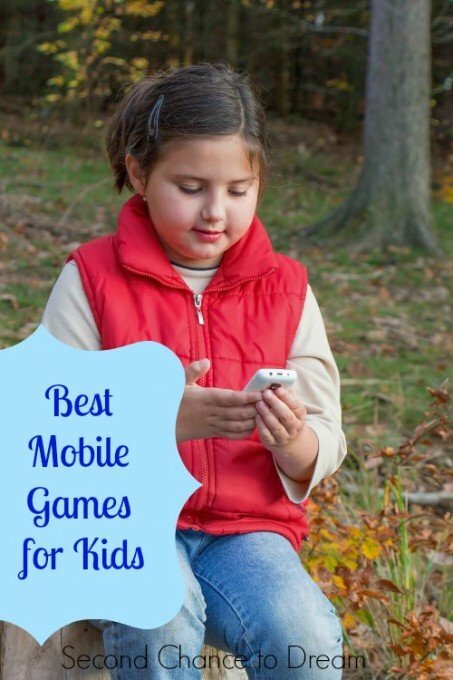 If you have a little cutie in your life then you’re going to want to check out this one. Welcome to the Melon Monkey Holiday Giveaway! 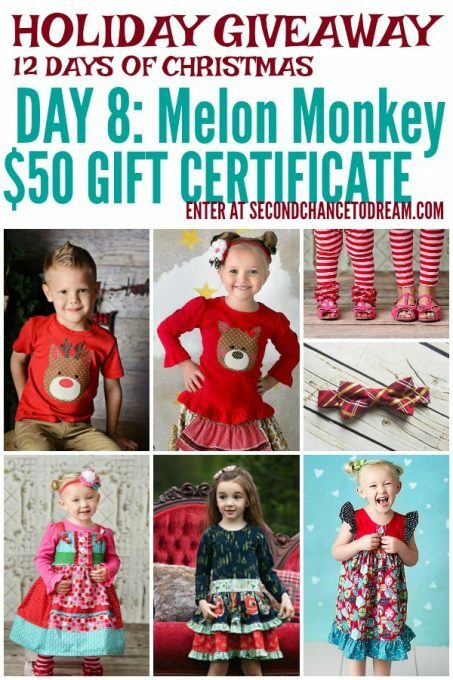 Day 8 of our 12 Days of Christmas Giveaway Event and it’s now time for the Melon Monkey Holiday Giveaway! One lucky winner will receive a $50 gift certificate to spend on adorable clothing! See official rules below for details. This giveaway has been sponsored by Melon Monkey. If you’re looking for unique clothing options, you need to check out the Melon Monkey Etsy shop. The Melon Monkey Etsy shop has the most adorable clothing for children including dresses skirts and leggings for girls and ties and bow ties for boys. 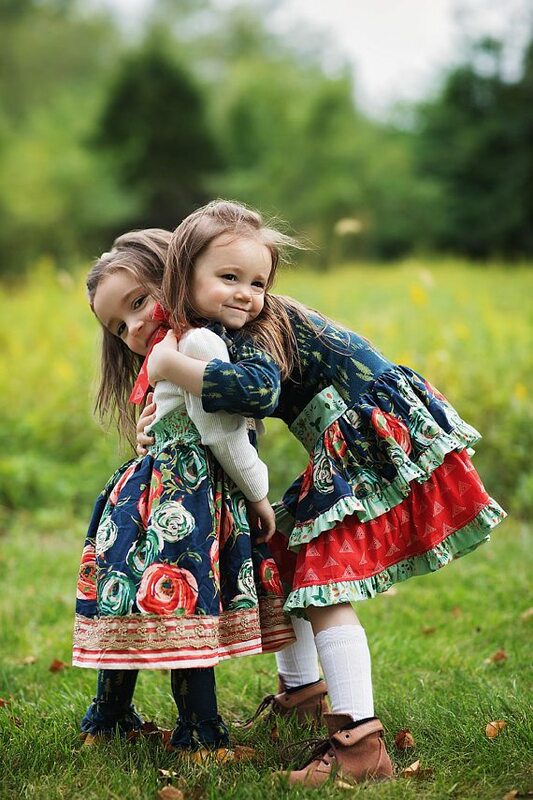 You can even custom order coordinating outfits for siblings. These make the best outfits for Holiday photos and special events. The clothing is so well made and worth every penny! One lucky reader is going to receive a $50 gift certificate to spend at the Melon Monkey Etsy shop! 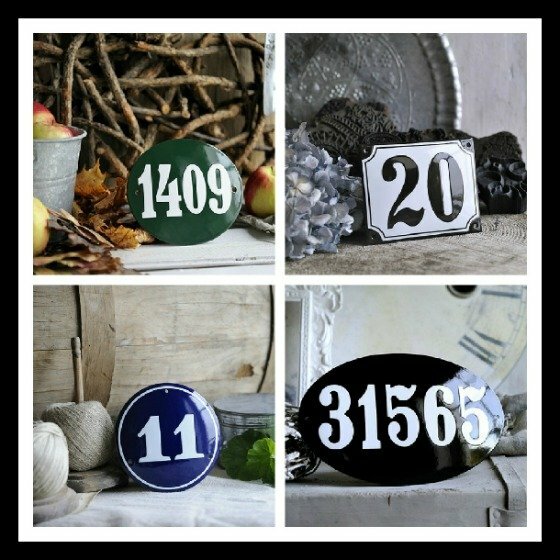 Keep in mind if you’re looking to order that last day to order for Christmas Delivery is Dec 13th! 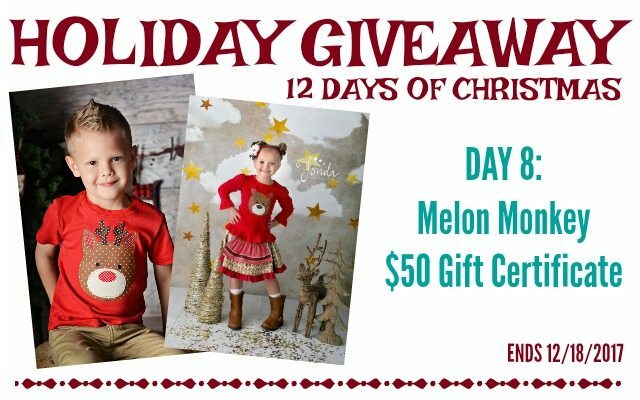 Official Rules and Conditions for the Melon Monkey Holiday Giveaway: One winner will be chosen to receive a $50 Gift Certificate to use at the Melon Monkey Etsy Shop. Open to US residents 18+ only. One (1) winner will be chosen. Prize must be claimed within 48 hours of announcement or a new winner will be drawn. Prize delivered via email. All entries will be verified. This giveaway is in no way associated with Facebook, Pinterest, Twitter, Instagram, Rafflecopter, or any other entity unless otherwise specified. Second Chance to Dream is not responsible for delivery of prize. 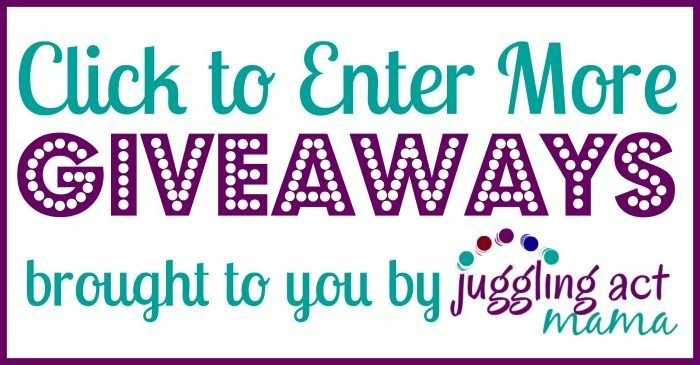 To enter the Melon Monkey Holiday Giveaway, use the widget below. 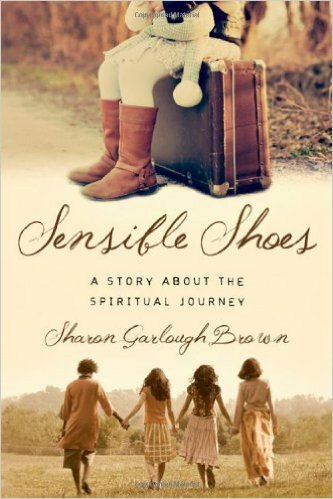 2 Fabulous books on sale at Amazon today!